In January, I was invited to be part of a cool project with a local fitness club in Knoxville, National Fitness Center. As a member of #teamNFC, I have access to all the great National Fitness Center gyms and facilities in East Tennessee. 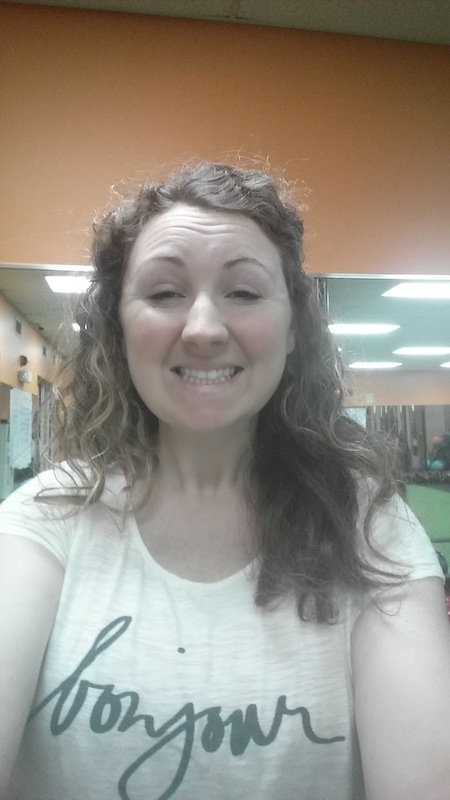 With the wedding behind us, life has finally resumed to a somewhat normal routine (sort-of) and I am always looking for ways to make fitness and health a part of that. I struggle to find my rhythm with working out....meaning there are lots of peaks and valleys. Sometimes I am all gung ho about it, but other times I feel like it's hard to get motivated. The main thing I've learned about myself in this process is that I like to change things up a lot so I don't get tired of doing the same stuff over and over. This means taking different classes (Zumba, Yoga, etc) and trying various equipment I've never used before. And most recently, it meant working with a National Fitness Center personal trainer on some high-intensity interval training (HIIT). I won't lie....I was really intimidated by the HIIT room and had never felt confident to try it out until now. 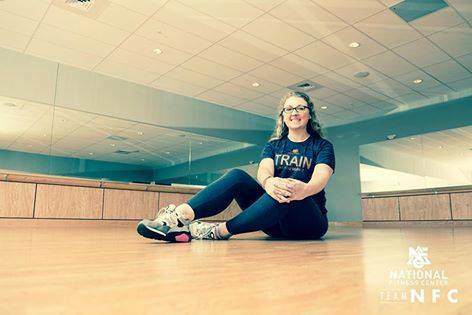 I think working with a trainer is a great way to get your feet wet if you've never spent much time in a gym. It helps me feel more confident 1) just having someone there to encourage you and 2) because someone who really knows about this stuff is guiding you. 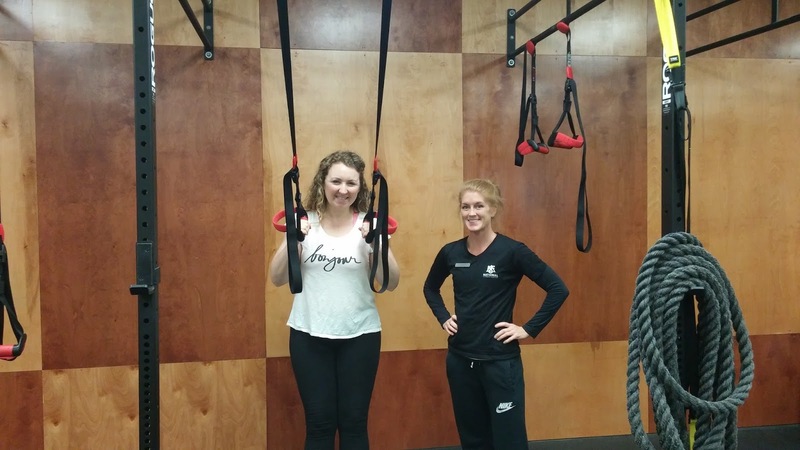 My trainer, Kasey Kurtz was super encouraging and explained the whole HIIT* process to me at our first session. This helped me feel like I knew what I was going to be doing and gave me a chance to ask questions before the timer was set. We used a variation of the Tabata regimen, which I later read is based on a study by a professor of that name who was trying to find a way to help train Olympic speed skaters. Kasey showed me how to do different high-intensity exercises and then took me through three cycles of them with periods of rest between. It was really hard. Especially after I've been pretty lax about doing any sort of cardio since the wedding & honeymoon. I'm not going to say I rocked it, but she was very positive and gave me constructive criticism when needed. Overall, it was a great experience. 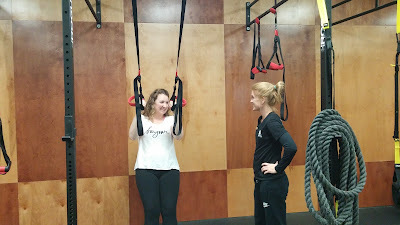 I couldn't lift my arms the next day but the soreness quickly subsided and I felt empowered that I accomplished the tough workout. I used to think that personal trainers were for really fit, super health-nut, gym-crazy people. And maybe they are in some cases. 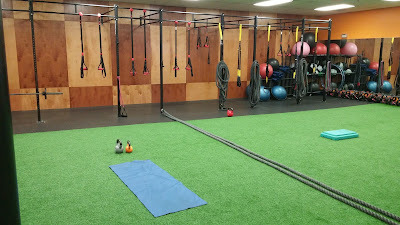 But for regular people like me (a little out of shape, unsure about some of the equipment, intimidated by the tank tops/muscles/grunting stereotypes), it's great to have the option of a trainer when I need some direction. And knowing the trainer wants you to succeed is encouraging too. There's also something good about the accountability created by working a trainer. Your time is spent doing things that actually get results. Thanks to Kasey for the great workouts! I'm really honored to be part of #teamNFC and excited to see what the next few months hold for my health! 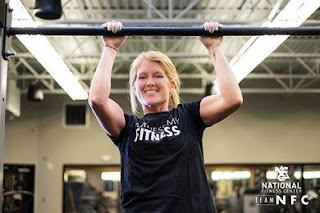 *You may see the name changed to PHITT (Personal High Intensity Interval Training) if you visit a National Fitness Center club in East Tennessee. Plus, if you are interested in checking out National Fitness Center, there are options of both personal training AND group training sessions. Check out their list of classes offered here. 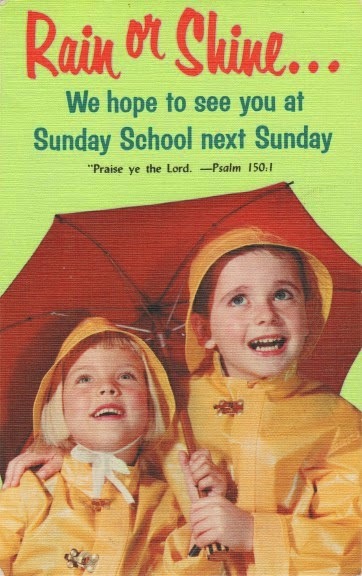 I ran across these vintage postcards on a website I like to visit and they took me back to my childhood growing up in a big baptist church in Tennessee. Each Sunday, my family would deck out in our finest and go to our respective classes for Sunday School before the main church service. 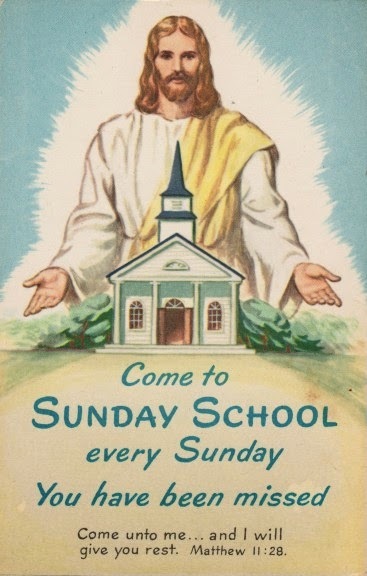 I loved Sunday School because it was a lot of like regular school and I was kind of a nerd who loved that sort of thing. Since our church was pretty big, there were enough kids to divide us up into all-girls, all-boys and co-ed classes for each age group. I usually preferred the all girls class and was often the teacher's pet. One of my favorite Sunday School teachers was an elderly man named Mr. Dunn who let me read the lesson and each accompanying scripture verse every week. He said I had a nice, clear reading voice and I'm sure the rest of the kids in the class gave a collective groan even though I ate it up. Down the hall from my Sunday School class was a big supply closet where all the teachers' books and curriculum materials were kept. In that closet were stacks and stacks of postcards with little messages and cute images on them. These cards were meant to be sent to other kids that we might know to invite them to come to church. I guess you could say that a regular part of my Sunday School experience was outreach. Baptists are all about going out into the world and preaching the gospel to all people, and I guess that included the people in our community who might want to receive weekly post cards inviting them to church. 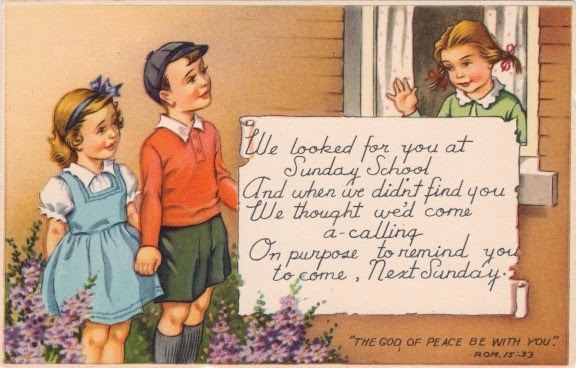 My Sunday School teacher had a big list that contained names and addresses of kids who had visited our church up to that point and each week, we'd spend some time dividing up the list and sending each person a card. Which I guess is a nice thing to do. Our teacher would give us each a stamp for our assigned card and when they were ready to mail, I'd take them down the stairs and outside to the big blue mailbox in the parking lot of the post office next door (I told you I was the teacher's pet). Except I knew most of the kids on the list from school. And many of them had only visited one time because they spent the night with another kid from my church or some other situation like that. I knew in my heart that they probably weren't going to visit again with any intentions of joining our church. So in many ways, I felt like sending these cards was a big waste of a stamp. Then I got the bright idea that I could make this whole situation work for me. You see, my grandparents lived in Knoxville which was about a hundred miles away. And back then (before cell phones and computers), calling long distance was a big deal. And even though I liked writing them letters, we never seemed to have stamps at our house. So often, I'd write more letters than I could ever send. What can I say....I saw my opportunity and I seized it. I began sending my Sunday School outreach postcards to them. Every week, I'd write as small as humanly possible to fit as much about the latest and greatest happenings in my life on that little card. Then I'd stick my free stamp on it and send it off to my grandparents. My teacher never knew (or at least I don't think he did). And honestly, I didn't even feel bad about it. I figured it was better to send card to someone who actually wanted to get it than to someone who was just going to throw it away. I wonder if my grandparents ever thought it was odd that I invited them to Sunday School about 20 some odd times. And that is why I'd be a terrible Baptist missionary. Mother's Day is almost here and while some people might think this is a holiday created by the greeting card companies to increase sales, I'm not buying it. According to my sources, Mother's Day got its start around the turn of the 20th century when a young lady from West Virginia wanted to honor her mother and it took her three years to get the holiday made official...leave it to a southern girl to do right by mama and set a good example for the rest of us! 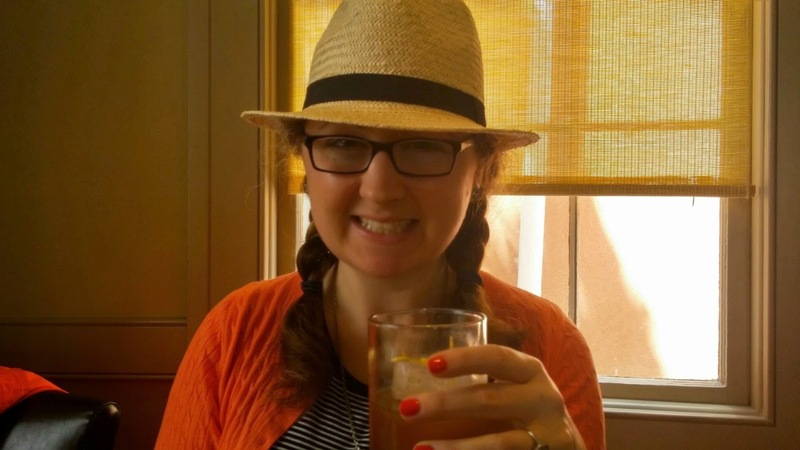 Do we really need a reason to celebrate mom? I think not. We should celebrate the women in our lives daily, but often things get busy and we fail to make note of just what they mean to us. So Mother's Day rolls around and gives us a chance to make up for it! 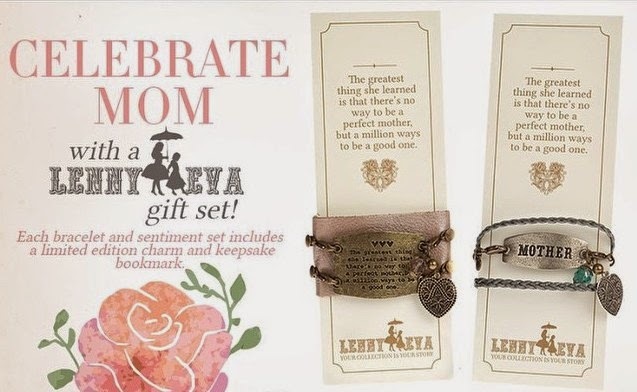 I'm sharing some incredible Mother's Day gift ideas and I hope they inspire you to put some heart and soul into making Mom feel special whether its Mother's Day or all through the year. And Mother's Day isn't just for moms....special grandmas, aunts, sisters, step-moms, godmothers and mentors all need to be told they are loved and appreciated too! These great tote bags from Dash & Albert would make a perfect gift for a new mom who might be celebrating (or getting ready to celebrate) her first Mother's Day. They are stylish and chic, but functional too. Who says diaper bags can't be fashion forward? 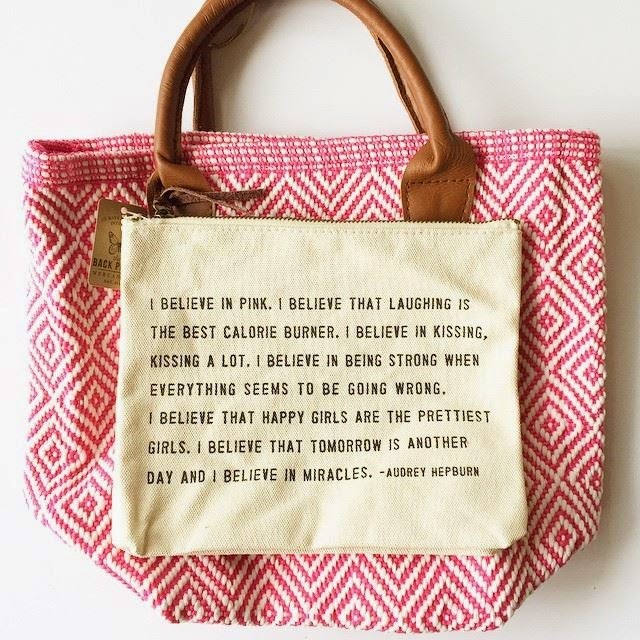 Plus, there's the fun zipper pouch from Sugarboo Designs with the great quote from Audrey Hepburn. Help mom corral those miscellaneous items in her purse or tote with one of these cute organizational tools. Most moms are always on the go and much-needed quiet time at home can be a real treat. 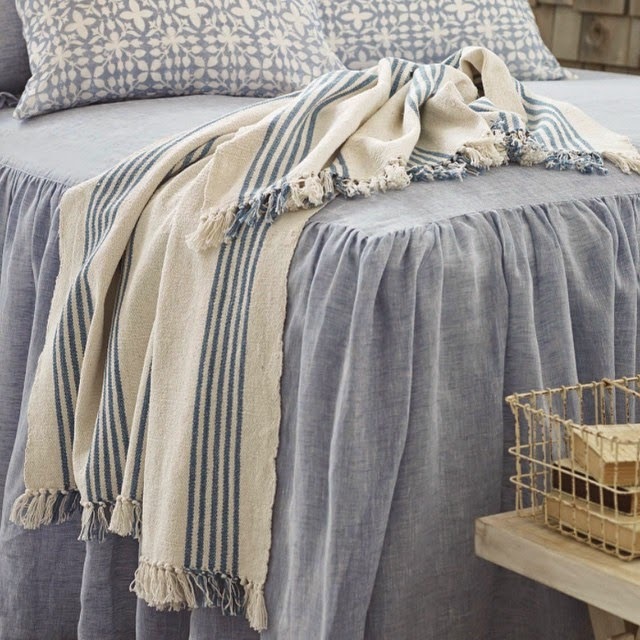 The popular Ibiza throw by Pine Cone Hill is a great gift for mom to enjoy during a cozy night at home or a Sunday afternoon nap. 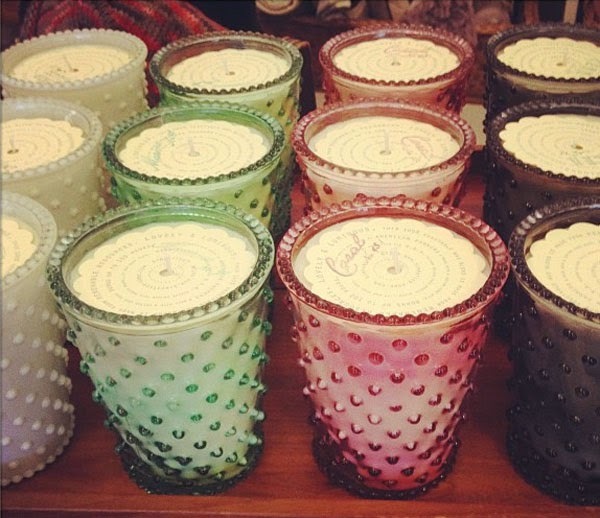 Some great-smelling candles, such as these from Simpatico would be a great complement to this too. They are clean burning and after all the wax is gone, they double as a beautiful hobnail vase...it's like two gifts in one! 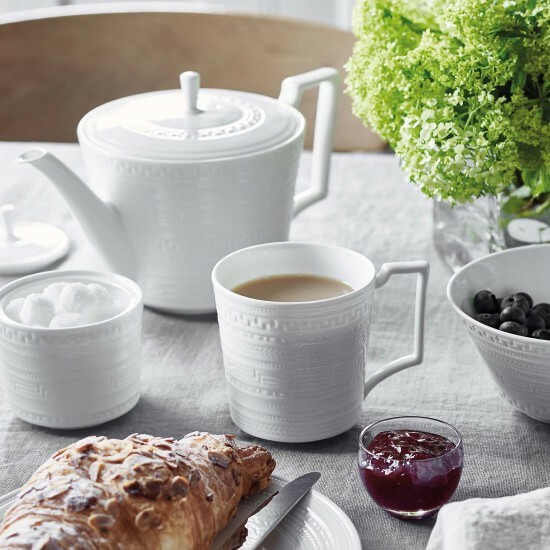 You could even take it a step further and create a whole day of relaxation for mom, maybe to include a special breakfast and lots of quiet time for her to do what she enjoys most. It might be just what she needs! If your mom likes all things that glitter, jewelry is a safe bet. Lenny & Eva holds a special place in my heart because it was started by a lovely lady in my hometown of Cookeville, TN. My southern beau has gifted me with a few different pieces from the Lenny & Eva Trousseau collection and I love mixing and matching them. 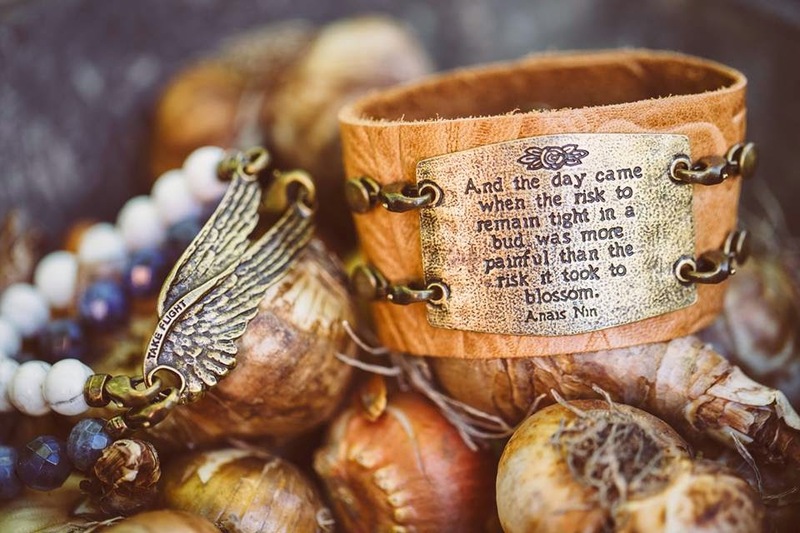 Some of the pieces have sentiments and quotes, while others are made up of beads and charms, but all have a whimsy that is unique. 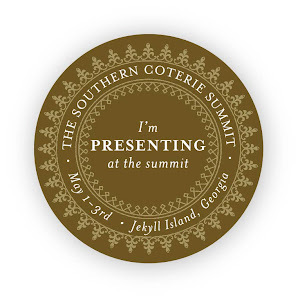 Another great line of southern-made jewelry is Louisiana-based Grandmother's Buttons. This line is made up of pieces that are hand crafted with vintage buttons, 100 years old or more! If your mom is a DIY type, you might want to give her an experience she'll always remember. One idea for a great gift is to treat her to a class or workshop. 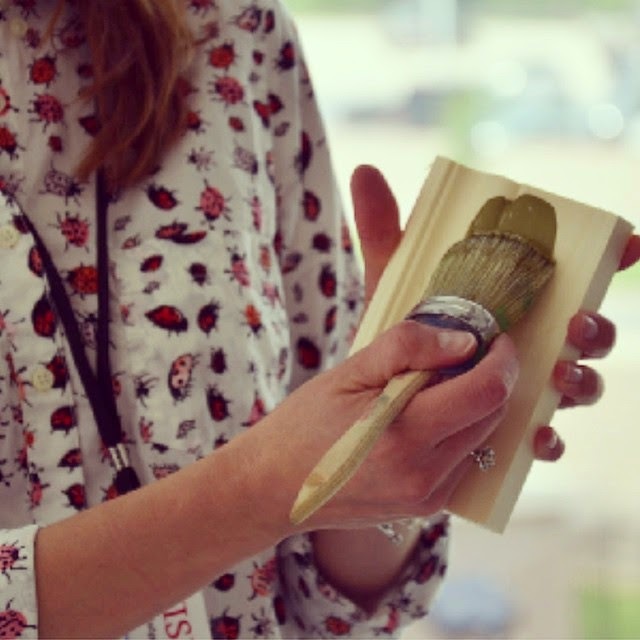 You might remember that I took a class a few years ago where I learned all about the wonders of Annie Sloan Chalk Paint. 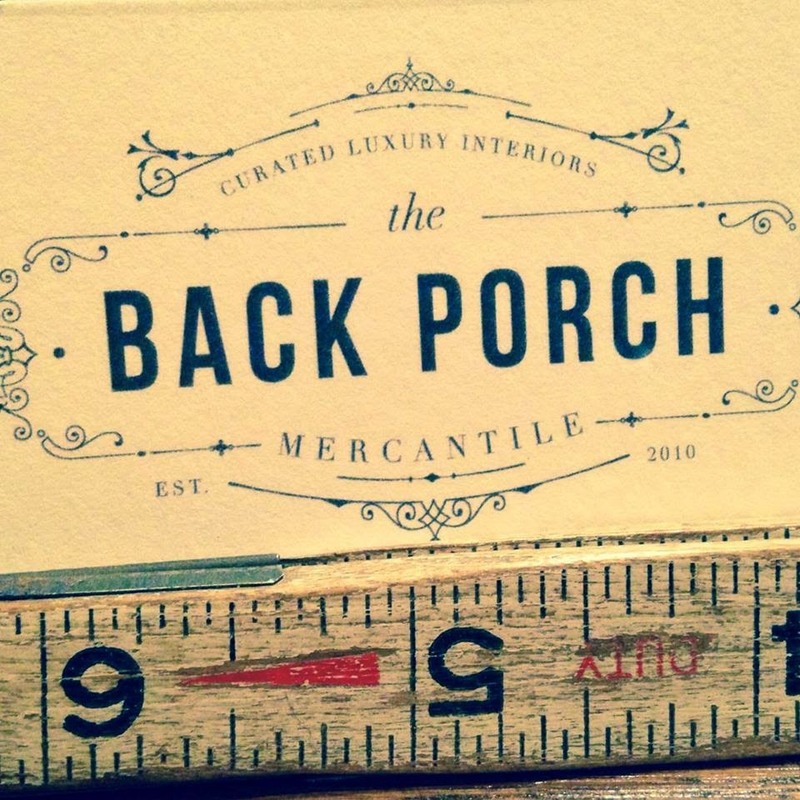 I highly recommend this experience and if you're in Knoxville, the Back Porch Mercantile is the place! Plus, there's even a special deal going on now for a discounted class session. This is even something you and your mom could do together! Who doesn't love some quality time with their momma? I know I do! 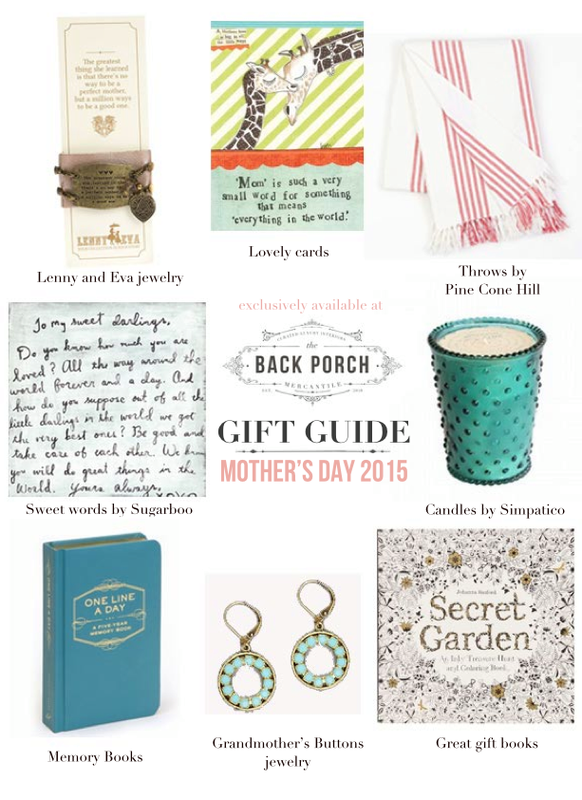 All these great Mother's Day gift options are available at the Back Porch Mercantile in Knoxville. This is a fabulous local gift shop with lots of charm and personality. Every time I visit, it's impossible to leave empty-handed...plus it's the place I send my southern beau when he needs inspiration for birthday gifts, Valentine's Day, etc. Stop by and tell them I sent you! 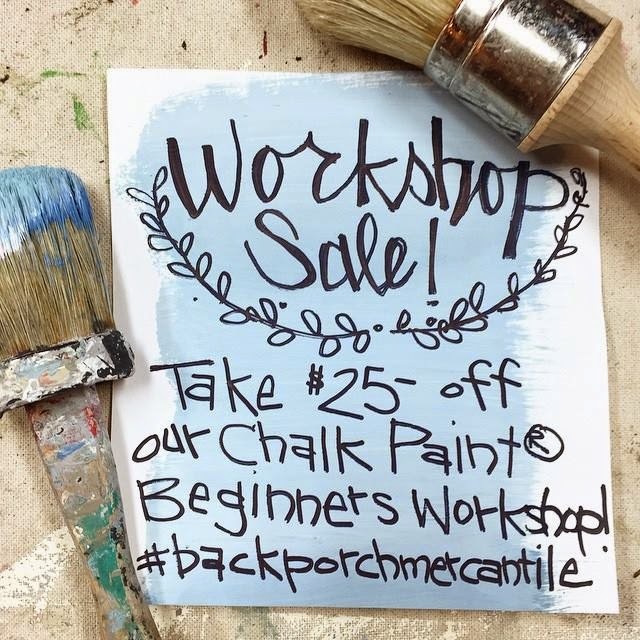 Or you can call today and reserve a spot for you and your mom to take a workshop in Annie Sloan Chalk Paint! The southern beau and I just got back from an incredible week in Charleston for our honeymoon. 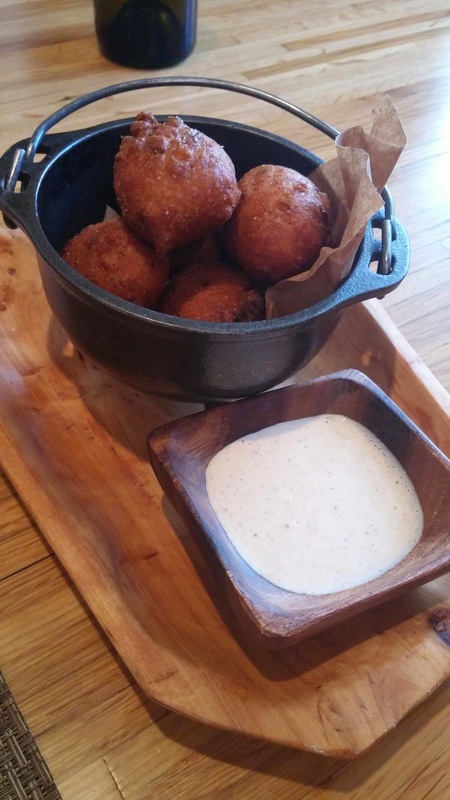 We basically ate our way through the city. A first time visit for both of us, we explored some really great local spots, based on the recommendations from foodie friends. 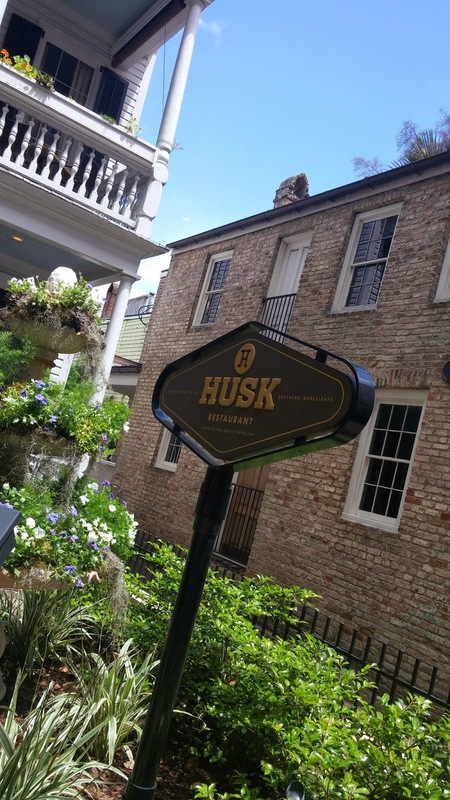 Everybody said we had to try Husk so we hit it up for lunch on our last day. It absolutely did not disappoint. 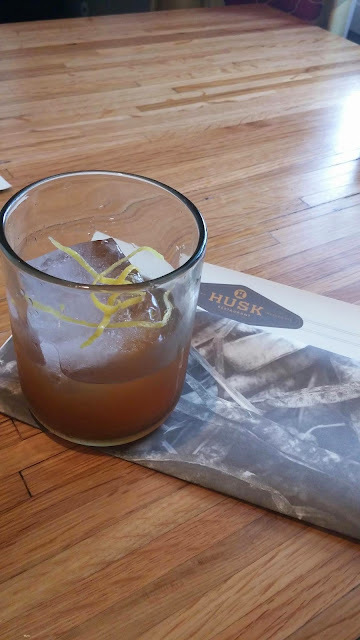 We started with the Dragoon Punch, a light refreshing beverage made of brandy, rum, iced tea and lemon juice. It was amazing...and I could have enjoyed several more. 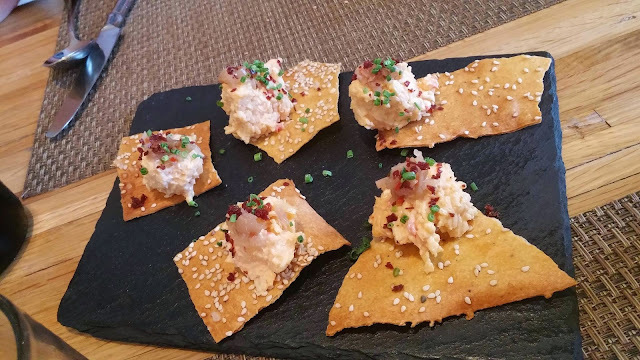 Next, an appetizer of pimento cheese. I'm such a pimento cheese snob and always compare any that I eat to my own homemade version. Chef Sean Brock's tangy cheddar spread lived up to the hype. It was dry with a paste-like consistency (which is how I prefer it), with a great tangy flavor. 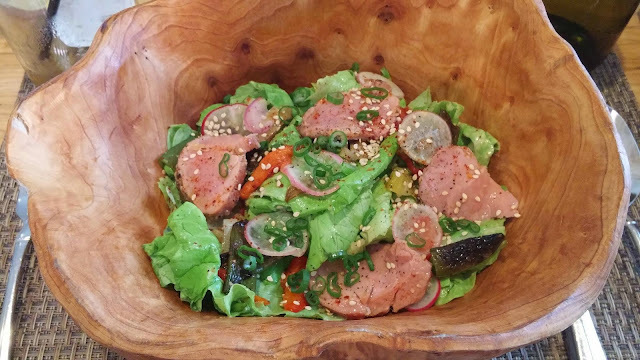 Pickled ramp relish and bits of country ham sprinkled on top were the perfect garnish. 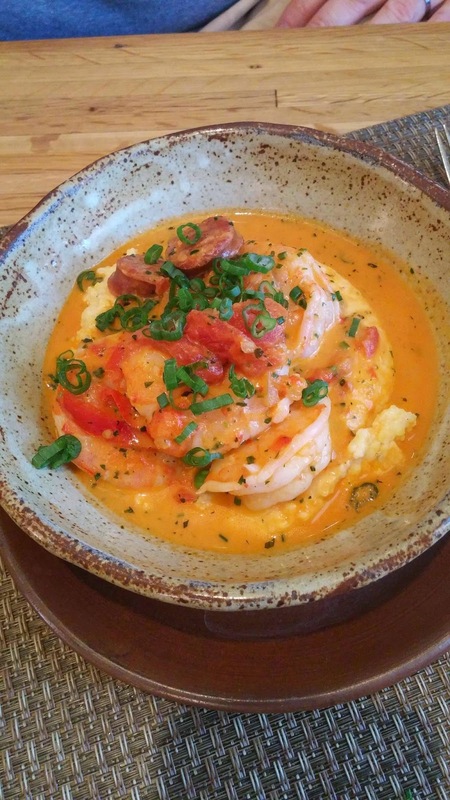 Shrimp and grits, a Charleston staple, were almost too pretty to eat! 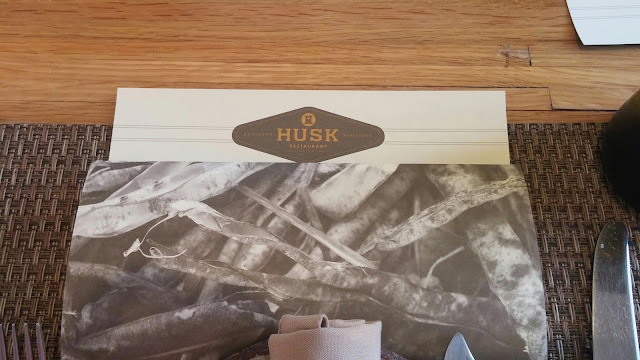 Then, some 'Husk' puppies with white barbecue sauce as a perfect complement to my bibb lettuce salad. Yes, it was covered in ham. The restaurant, located in a gorgeous old house, was just around the corner from our hotel. We enjoyed the entire experience and felt it was a must-do for the trip. Sometimes restaurants receive lots of hype for no reason, but I highly recommend Husk. It exceeded my expectations and then some!